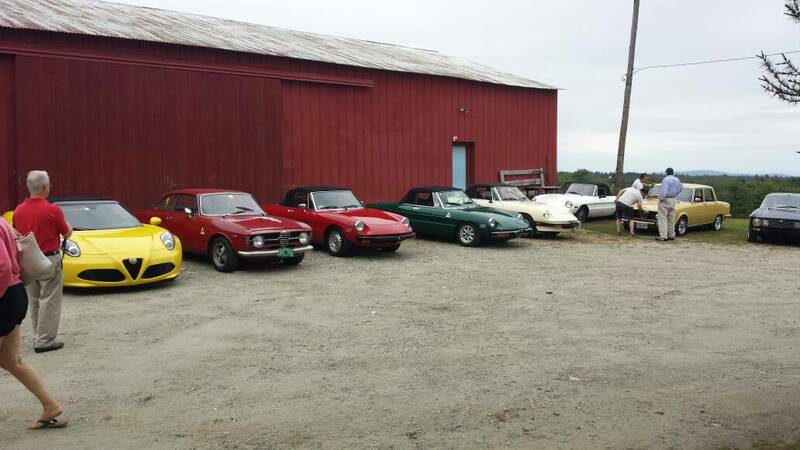 We had sixteen cars, 13 Alfa's for an 80-mile ride in western Massachusetts. Pretty exciting when the eight Spiders, optimists all, we're running top down when the skies opened up and the rain came down. We went a few miles before the leaders located enough space to get 16 cars off of Rte. 116. Kudos to Peter Walker for another great annual tour.